QRecall is a disk-to-disk document archiving system that efficiently captures multiple generations of documents for safe keeping and later retrieval. Items are captured in an archive, where they can be browsed or recalled. Repeatedly capturing documents creates layers in the archive. By navigating through layers, you can browse and recall any previously captured version. QRecall's unique data analysis examines the changes to each item in detail and stores only the information that's new, making it possible to store multiple versions of millions of items using the minimum amount of disk space. QRecall 2.1 is compatible with OS X 10.9 (Mavericks) through macOS 10.14 (Mojave). Flexible Capture · Capture any combination of files, folders, or entire volumes. You control how much, what, and how often items are captured. Unique Data Analysis · QRecall never stores duplicate data…ever. Every file's data is analyzed and compared to the data already captured in the archive. If any two blocks of data are identical, only one copy is stored. Feel free to capture a second operating system or a copy of that iTunes library. The archive will contain only a single copy of the data. Integrity · QRecall archives are designed for reliability and robustness. Checksums and interlocking validity tests are verified every time the archive is read to ensure that the items in an archive are unaltered, undamaged, and readable. The structure and data integrity of an archive can be verified at any time. Archives are specifically designed to endure and recover from data corruption and media failure. The built-in repair command will recover all usable items from a damaged archive. Journaled database technology allows an archive to auto-repair itself after a crash or other interruption. Automatic re-reads of invalid data can recover items from devices exhibiting transient data transfer problems. If enabled, data redundancy will correct data corrupted by media or transmission failures. Capture Preferences · Capture preferences can be set for individual files and folders. Prevent an item from being captured, ignore recent changes to an item, or automatically delete (scrape) an item after it has been successfully captured. Multiple Volumes, Multiple Computers · A single archive can store items from multiple volumes and volumes from multiple systems. QRecall keeps everything organized. Take full advantage of QRecall's space saving data analysis by storing multiple systems in a single archive. Compression · QRecall can conserve backup disk space even more by compressing archive data. By combining compression with duplicate data elimination, QRecall can utilize backup storage much more efficiently than traditional backup programs. Archive more in the same space—or just use less space. Encryption · Data in an archive can be optionally encrypted for security. Encryption keys can be password protected for additional security. Effortless Browsing · No complicated or time consuming restore procedures. Just open an archive and start looking through your captured items. Layers · Each capture creates a layer; It's like an archaeological record of your files. Browse through layers to rewind time and reveal items from the past. Open, recall, or restore past items. Rewind · Rewind presents the timeline of an item as an easy-to-navigate spiral. It only takes seconds to rewind to the version you want to examine or recall. Browser Views · View items much like you do in the Finder, by icon, list, or column. Preview · Preview most items before recalling them, or just use it to find the version you're interested in. Calendar Sidebar · See the layers laid out on a calendar to visualize when items were captured. Deleted and Invisible Items · Optionally reveal invisible and deleted items while browsing. Recall or Restore · Recall any item (file, folder, or entire volume) with a single command. Replace your existing item with a version from the archive, or recall it to a different location. The choice is yours. Search · Find items quickly using the built-in search tool or via Spotlight. Finder Integration · Set the capture preferences for an item. Capture an item immediately, or reveal its previously captured version in an archive. Perform these tasks directly in Finder or in any services-savvy application. Instant Recall · Double-click to open any item in an archive. Opening up yesterday's version of your document is just a double-click away. Timelines · Timelines graphically overlay the history of items in the archive. Item Inspector · Inspector window shows detailed information about items, layers, or an archive. Incremental Capture · Recapturing an item captures only the differences between the old and the new item. Preserve Deleted Items · Optionally keep the last captured copy of recently deleted items. This option retains the last version of items for a period of time you specify, which can be longer than the item would normally be preserved. Fast Change Detection · When recapturing items, QRecall quickly scans only those folders that contain changes. When recapturing large data files, data fingerprint analysis lets QRecall quickly determine what portions of the file have been modified and what portions haven't. Mixed Captures · You can arbitrary capture, and recapture, anything to a single archive. Capture an entire volume then recapture just a single folder. There are no restrictions on how many capture layers can be added to a single archive, or how much each layer contains. 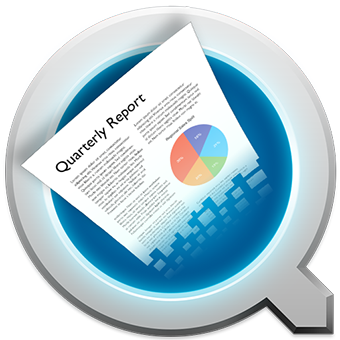 Captures Data, not Files · QRecall uses powerful data analysis to capture only the changes made to each file. Unlike file-based backup software, QRecall compares the data in every file to the data already in the archive and only stores the new data. When a disk image, virtual machine file, log file, database, audio/video file, or graphics project is changed, often only a tiny fraction of the file contains new data. Compare this to traditional techniques that duplicate entire files, wasting gigabytes of disk space. Actions · Create pre-defined actions to capture items, merge layers, and perform other regular maintenance operations. The Actions window shows a summary what each action does, the archive it uses, its schedule, and its next execution time. Activity Monitor · Floating activity panel monitors the progress of running actions. Keep a discrete tab on QRecall actions without opening the QRecall application. Notifications · Be notified when actions start, complete, or fail. Works with both macOS native notifications and Growl. Archive Status · Status window presents an instant overview of the health and status of every active archive. Optional menubar item discretely alerts you to any problems or concerns. Daily Schedules · Schedule actions to run daily, weekly, monthly, yearly, or at regular intervals. Event Schedules · Actions can also be scheduled to run when an event occurs. Events include connecting an external drive, mounting a network volume, logging in or out, launching or quitting an application, or when items change. For example, create actions that automatically capture a camera memory card or USB flash drive the moment it is plugged in, or backup up all of your working projects a few minutes after you quit your video editing software. Schedule Conditions · Schedules can be further refined with conditions. For example, an action can be prohibited from starting during a particular time of the day, or canceled if the remaining laptop power drops below 10%. Power Management · Actions can schedule your computer to startup or wake up before they are scheduled to run. Once finished, an action can put your computer to sleep or shut it down again. Custom Scripts · Execute custom scripts (or any POSIX executable) either before and/or after an action executes. Command Line Tool · The qrecall command line tool will perform most QRecall commands and can also control action schedules. Use it to control QRecall using your favorite scripting or automation tools. Error Correction · Optionally add data redundancy to archives for error correction. Amount of redundancy is variable and can be as little as 1:32 or as much as 1:1. Encryption · Strongly encrypt all user data using the Advanced Encryption Standard (AES). Encryption keys can be shared by multiple users/systems. Keys can be password protected for additional local security. Passwords can be changed and can be different for each system. Supports the macOS keychain. Passphrase protected recovery key can be embedded in the archive as a backup. Exclusion · Specific items can be excluded from an archive. You can designate them explicitly in the archive's settings, set their per-user capture preferences, attach an exclude pattern (name, glob, or regular expression) to an archive or directory, elect to honor macOS backup preferences, or any combination these. Links · Captures and restores both hard and symbolic links. Metadata · Captures and restores all POSIX and HFS+ metadata. Captures and restores extended metadata and extended attributes. Correctly restores compressed binaries. Access Control Lists · Captures and restores ACLs. Live Capture & Restore · Capture the volume you are booted from. Restore the volume you are booted from; Restore your operating system without booting from another drive. Command Line Restore · Perform restores from the command line in single user mode or when booted from a recovery partition. Capacity · Store up to 6 terabytes of data in a single archive. (Between compression and de-duplication, this represents upwards of 20 TB of captured data.) Capture single files up to 2 terabytes. There is no practical limit on the number of files, layers, or owners that can be captured in a single archive. Localized Names · Archive preserves the localized name and icon of every item. Help · Complete online documentation. Built-in problem reporting. Integrated Log Viewer · Structured summary of QRecall activity. Control the amount of detail displayed. Show just the highlights or expand to examine the details of every event. Automatic Update · QRecall will periodically check for updates. Updates are securely downloaded and checked for authenticity before being installed. Data Integrity Tools · Archive verification and repair tools are built in.